When most people think Steel Construction they think of a warehouse with the steel frame and the metal walls or a modular building. We can do better than that! Steel Frame Construction does not compromise on aesthetics or functionality. In fact the opposite is true. You have greater flexibility in design and layout due to the strength that steel brings to your building. Maybe it's time to consider a steel frame because of its many benefits: flexibility, lower cost, less waste, environmentally friendly, stronger material, less settling, just to name a few. Pictured right is the Westchester United Methodist Church. This building has a steel frame with a vinyl siding and brick exterior. Lower materials cost offers a lower cost to the project from the beginning. Ongoing, with any project, there is scrap material. Steel is 100% reusable and recyclable. These traits offer the builder the opportunity to sell the scrap metal instead of pay for the disposal of unused materials. The shape and amount of steel scrap material is irrelevant since steel can be melted down, combined and reshaped which means every piece can be recycled. That cannot be said of all building materials. Steel does not rot, crack, warp, bend or change over time. Steel is also pest resistant. Termites do not eat steel. Your steel frame building will begin with straighter corners and walls and will have less settling over time. Steel has the highest strength to weight ratio of all building materials, which gives you a stronger lighter structure. Steel buildings will be straighter in 100 years than their wood framed counterparts. Steel does not expand or contract with humidity and temperature changes. Your doors and windows will always open and close properly. 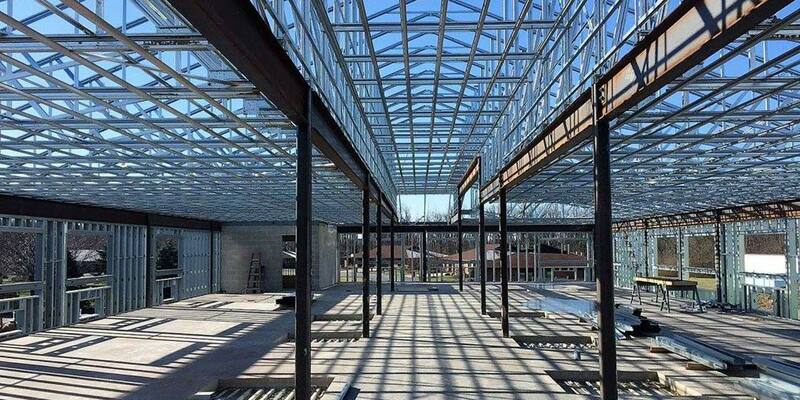 Steel frame construction offers the most flexibility in custom design. Since steel frame construction reduces the need for load bearing walls, it offers the opportunity for unique layouts and open floor plans. When steel frame construction is coupled with our Design Build capabilities, you unique building vision can soon be under construction. While some builders may be reluctant to build steel frame structures, Limberlost Construction has embraced this technology and applied the same skill and craftsmanship to this 'new' material as we have in our wood frame structures. 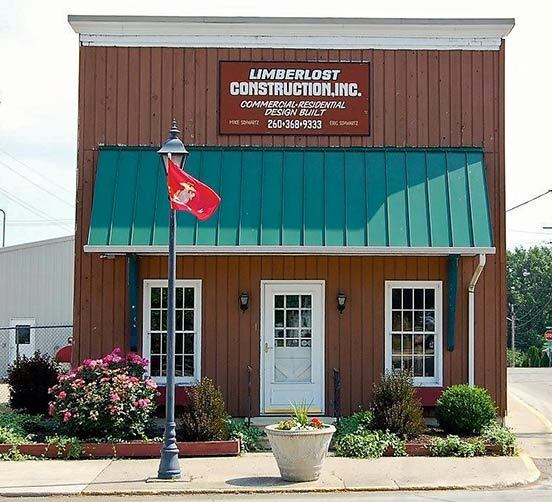 Limberlost Construction has mastered the use of steel in building construction and is able to accurately work with the more complex engineering and building plans used in steel frame construction. Let us know how we can help your steel frame project succeed.